The National Institute on Alcohol Abuse and Alcoholism (NIAAA) reports that, in 2015, there were about 16 million Americans who struggled with alcohol use disorder (AUD) – about 15.1 million adults, ages 18 and older, and 623,000 adolescents between the ages of 12 and 17. People who drink too much regularly are likely to experience withdrawal symptoms if they attempt to stop drinking. Depending on how long the person has struggled with AUD, how high their tolerance is, and how dependent they have become on alcohol, withdrawal symptoms may be mild or severe. 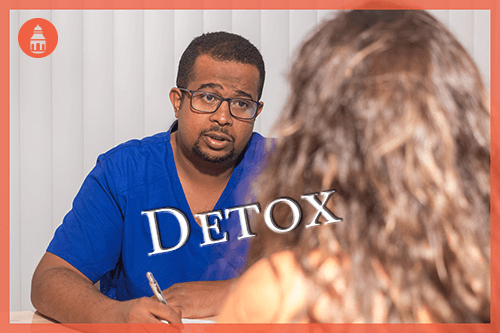 Without help from an addiction specialist and medical supervision, attempting to detox from alcohol at home can be very dangerous and can lead to life-threatening symptoms. Withdrawal symptoms occur because the brain becomes used to the presence of alcohol, which is a central nervous system depressant. Alcohol’s effect on the brain changes how much gamma-aminobutyric acid (GABA) is available to the brain, controlling how fast neurons fire. Alcohol, as well as some prescription drugs, prevents GABA from being reabsorbed rapidly, so neurons communicate more slowly. Without alcohol, there is not enough GABA to suppress neuron firing, which can lead to tension, anxiety, insomnia, and additional harmful symptoms. Since withdrawal can be uncomfortable, even without serious or dangerous side effects, a person who attempts to quit drinking “cold turkey” may relapse back into alcohol abuse to relieve the discomfort; however, returning to alcohol abuse puts the person at higher risk for alcohol poisoning, which can cause lasting physical damage and may be fatal. There are three basic levels of alcohol withdrawal. Minor withdrawal: Uncomfortable symptoms like shaking, sweating, cravings, anxiety, nausea, and insomnia are likely to occur within the first 6-12 hours after the person stops drinking; however, these can be managed with supervision from a medical professional, enough sleep, and proper hydration. Minor symptoms are more likely to occur in people who struggle with addiction to alcohol but consume less than five pints of alcohol daily. However, to avoid developing more serious withdrawal symptoms, it is still important to work with medical professionals. Midlevel withdrawal: Symptoms may begin 12-48 hours after the last drink and can become more serious. They include racing heartbeat, high blood pressure, or irregular pulse, which can be risky for people with weak hearts or underlying heart conditions. The individual may also develop hallucinations, although they are aware enough to understand that the things they are seeing, hearing, or feeling are not real. Major withdrawal: This may begin 2-5 days after the last drink. Symptoms will likely lead to a diagnosis of delirium tremens, and can include fever, seizures, and sudden death. People who consume more than a moderate amount of alcohol every day are more likely to develop withdrawal symptoms compared to those who do not drink consecutively. Even people who binge drink, but who wait at least three days between binges, are less likely to develop withdrawal symptoms, although they are still likely to suffer from both acute and chronic harm to their bodies and brains. Because of physical differences, men and women have different predictors of whether they will develop withdrawal symptoms and how serious these symptoms will be. Women: The definition of binge drinking for women is four drinks in about two hours; heavy drinking is defined as seven or more drinks per week, or about one drink per day. Women who struggle with alcohol use disorder are likely to consume much more than that, which contributes to their risk of experiencing withdrawal symptoms when they attempt to quit. A woman who consumes about six drinks per day, every day, for one month has a 50/50 change of developing minor withdrawal symptoms, especially cravings and anxiety; a woman who consumes 11 drinks per day, every day, for one full month is more likely to develop delirium tremens or major withdrawal. Men: The definition of binge drinking for men is five or more drinks in about two hours; heavy drinking is about two drinks per day, or more than 15 drinks per week. Men who consume eight drinks every day for a month are likely to develop minor withdrawal symptoms; consuming 13 drinks each day for one month leads to a 50/50 chance of developing major withdrawal symptoms. Consuming 18 drinks per day will likely lead to life-threatening delirium tremens. If a person works with an addiction specialist to safely detox and does not develop alcohol withdrawal syndrome (AWS) or delirium tremens, then withdrawal symptoms generally last 5-7 days. However, with protracted withdrawal, symptoms may require ongoing medical treatment. The person may need medication-assisted treatment (MAT) using a benzodiazepine like Valium, easing them off their brain’s need for GABA suppressants. This process can take weeks or even months. A person who develops delirium tremens will likely need immediate medical attention. Delirium tremens typically develops within the first two days after the individual stops drinking. People who have attempted to stop drinking in the past and relapsed back into alcohol abuse are the most likely to develop AWS or delirium tremens. Alcohol withdrawal always require medical supervision. It is not safe to attempt to wean off alcohol on your own. If a person has a substantial risk of developing AWS or delirium tremens, their overseeing physician may work with them to taper symptoms of alcohol withdrawal using a benzodiazepine prescription. It is extremely important that this process is carefully overseen because benzodiazepines and alcohol both work on the GABA receptors, so a person attempting to end alcohol dependence may begin abusing benzodiazepines. These should not be used for longer than necessary to manage the most severe withdrawal symptoms during detox. A physician will develop a taper and an overall withdrawal timeline based on their patient’s specific situation. A benzodiazepine taper may allow those with less risk to go through outpatient detox; however, people who likely have other chronic health problems from abusing alcohol may still require inpatient detox and rehabilitation. Alcohol withdrawal may be a life-threatening issue, as acute withdrawal symptoms may lead to delirium tremens, which can be deadly. People who have struggled with AUD for many years may also have other forms of physical damage, like heart problems or brain damage, so even moderate alcohol withdrawal symptoms, like changes in pulse, can be deadly. The only safe way to overcome alcohol use disorder or other forms of problem drinking is to work with medical professionals who understand alcohol abuse and addiction. Symptom management and recovery support are important parts of both detox and rehabilitation. Additionally, working with physicians, nurses, therapists, and social workers means one has access to varying levels of care, as symptoms change, reduce, or recur over time. 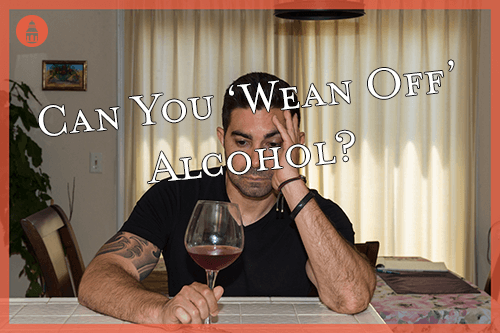 While there are websites that tout home remedies for alcohol withdrawal, and an overall weaning process, this process can be very dangerous. Instead, get professional help to safely withdraw from alcohol.